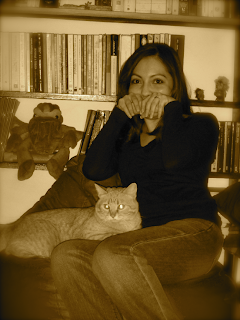 Nelly Geraldine is a Mexican writer and the personal assistant of three fat cats. Her dream is to meet Sesame Street characters or The Muppets in "person". She's still trying to figure out what to write here and how not to feel uncomfortable talking about herself in the third person without sounding kind of crazy.